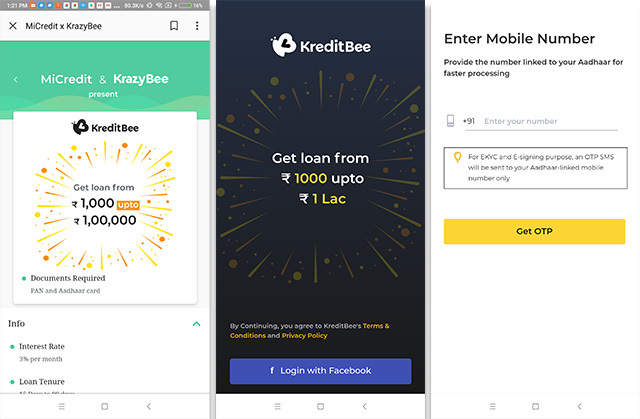 Xiaomi has partnered with Bengaluru-based instant personal loan platform KreditBee to launch Mi Credit, Xiaomi’s third value-added Internet service in the country following Mi Music and Mi Video. Through the Mi Credit platform, Xiaomi will provide personal loans from Rs. 1,000 all the way up to Rs. 1,00,000 and will only require users to submit their PAN and Aadhaar card details. The Mi Credit portal will offer personal loans at an interest rate of 3% per month, with the loan tenure lasting anywhere between 15-90 days. Xiaomi claims that users will be able to get a personal loan approved in just 10 minutes and once approved, the loan will be disbursed directly to the user’s bank account. 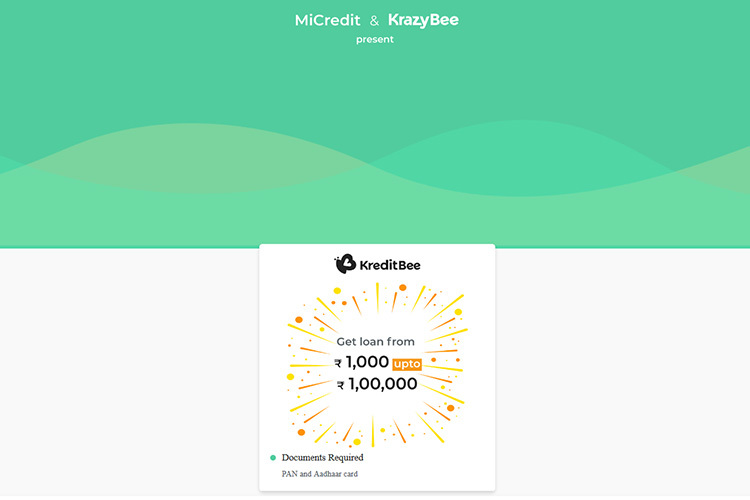 Repayment is also rather simple, with the platform allowing users to make easy payments via KreditBee’s payment gateway. However, the Mi Credit service just isn’t available for everyone. The service is only available for MIUI users and the website will only start processing the loan application once it identifies the applicant’s device. At first, when we tried submitting a loan application on our desktop, the ‘Get Loan Now’ button remained unresponsive. Upon trying on a non-MIUI device, we faced the same result and the button remained inactive. 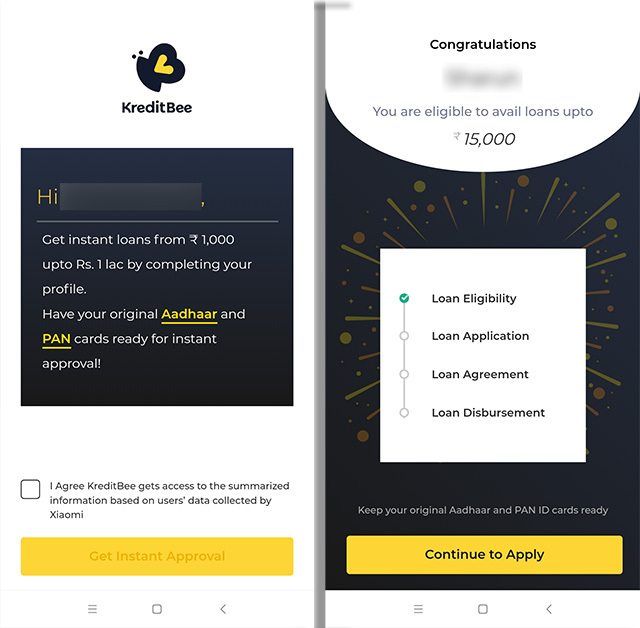 Using an MIUI device seemed to do the trick and we were instantly redirected to KreditBee’s portal for the loan approval. Applying for a personal loan on the platform is also quite simple. You just have to key in a few personal details, verify your phone number, and check if you’re eligible for a personal loan. The app takes a few minutes to check your eligibility and then lets you know the maximum amount you can borrow from Mi Credit.